On December 1st, Texas lost one of its top crime fiction writers, Milton T. Burton. Milton was Texas. With a laugh and personality as big as his body, he sometime came off as Santa Claus with a drawl. He had a diverse background that ranged from ranching, politics, to academics. Probably most important to him was being a teacher of the state’s history. He loved learning it from others and sharing it with those of us who were less informed. After getting to know Milton, I understood why most of his fiction took place in the past. His debut, Rogue’s Game, got the attention of many mystery booksellers and critics. It was clear Burton’s voice was unique and something we should all pay attention to. Rogue’s Game tells the story of a gambler who wanders into town with more than the big money game on his mind. Milton’s writing is like McMurtry crossed with Chandler. 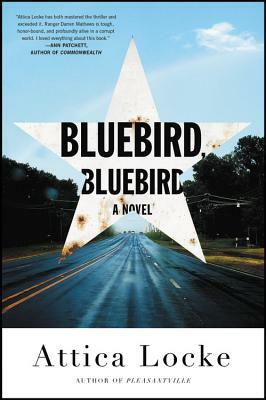 His prose and dialogue capture the place and people of small town Texas, peering into the back rooms and backwoods where you always suspected something was going on. I got to know Milton last year through George. I had chosen his book Nights Of The Red Moon as a MysteryPeople Pick Of The Month. He contacted me to set up a signing at the store which led to other discussions over plans and future endeavors. I agree with George when he says Milton was a friend as soon as he met you. We would talk about writing, history, politics, and occasionally about the reason one of us called. He wanted to know why I liked his writing. As someone pursuing the craft during the last part of his life, he wanted to hone in on his strengths so he could exploit them. He also wanted to help me as a fledgling writer. The conversations careened and veered around until Milton had little more to say (remember, these conversations were an hour long, at least), then he’d say, “Mighty fine,” and hang up before you had a chance to say goodbye. I now wonder, with someone who loved people and life so much, at the fact that he was not big on goodbyes. I only knew Milton for a year, but every minute reminded me why working with the writers is the best part of my job. He engaged me as a reader and entertained me even more as a friend and colleague. We’re happy to announce that Austin’s own Jeff Abbott will now join Taylor Stevens at her event here for her latest thriller, The Innocent, on Wednesday, January 18th. 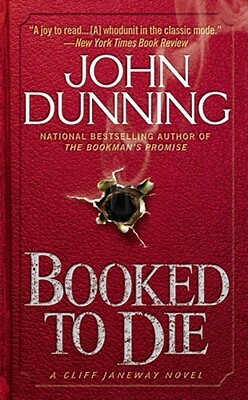 Abbott’s bestseller Adrenaline was one of our favorite new books of 2011. It’ll be out in paperback in January, in time for the event. If you were here when Jeff led the conversation with Harlan Coben earlier this year, then you know we’re in for a good time. On Wednesday, December 28th at 7PM the Hard Word Book Club will take its first step on a dark journey that will last through an entire series, David Peace’s Red Riding Quartet. It’s been a running joke that Peace borrowed from the LA Quartet, James Ellroy’s look at crooked cop, gangsters, and serial killers in The City Of Angels, and went darker. The series spans over a decade of corruption in ’70s and ’80s Yorkshire. The infamous “Ripper Murders” serve as a backdrop, but not the focus. There is something more evil going on in Northern England. The books, each titled with the year they take place, change in protagonist with characters that may appear in one chapter in an early book coming into a clearer, darker focus in later ones. The series becomes an epic yet intimate look at the nature of personal and social corruption and the dependence each has on the other. We will be starting out with the first book, Nineteen Seventy-Four, for our December Hard Word. It kicks off the series when a a morally questionable, young reporter connects a child murder of the past to one missing before Christmas and unravels a conspiracy that is connected to Yorkshire’s future. There will also be a screening of the film based on the book directed by Julian Jarrold, starring Andrew Garfield and Sean Bean. 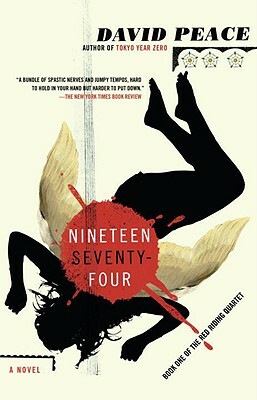 On March 28th we will be reading the second book, Nineteen Seventy-Seven. Much as it was for cinema, the ’70s was one of the best decades for crime fiction. There was finally a literary awareness of the genre. 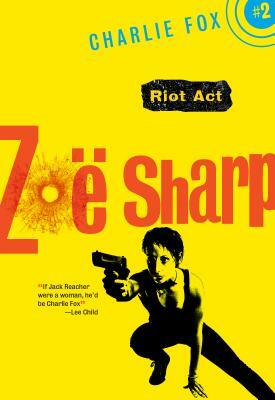 Talented writers with ambition who usually went to general fiction instead used the conventions of crime fiction to address the politics and society of their time. It gave us James Crumley, George V. Higgins, Robert Stone, and many others who pushed the boundaries, including the lesser known Newton Thornburg. What distinguished Thornburg from many of the others were his protagonists. Most were not cops, criminals, or in any profession that dealt with crime. They were odd, often marginalized versions of Every Man; farmers, drop outs, middle or working class folks, all trying to figure out where they and their country stood in strange and sad times. 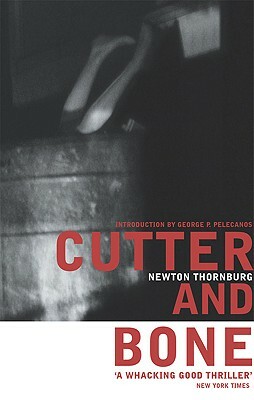 Two fine examples are the title characters of Cutter And Bone. Richard Bone is a handsome guy who dropped out of his middle-class family life in Michigan and is now scraping by as a half-assed Santa Barbara gigolo. After a tryst, he spots someone shoving something into a trash barrel. When the morning paper reveals that a girl’s body was found there, he makes the mistake of mentioning to his buddy, that the figure looked a little like millionaire JJ Wolfe. Bone’s buddy is Alex Cutter, a man disfigured by a Vietnam claymore. Along with an eye and leg, it took a piece of his soul, with a lot of angry (and often humorous) bile leaking out. His wounds and rage serve as a great counterpoint to the smiling, sunny hypocrisy of Southern California. He sees the murder as an opportunity to get back at one of “them”. Their search for proof takes them to L. A. and the Ozarks in a period of dissolution and paranoia that takes a personal toll on both. One thing that makes this a stand out book is that you find yourself debating whether Wolfe is actually guilty, even though there is no other real suspect. When the truth does become completely clear in the last sentence, the damage is already done. If you’re looking for conventional crime fiction with the heroes escaping the abyss they journey through, this may not be for you. If you’re looking for a further understanding of that abyss, Newton Thornburg is as relevant in this century as he was in the Seventies. 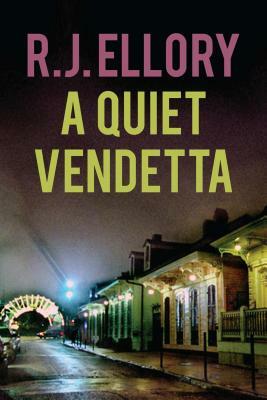 A Quiet Vendetta is quintessantial Ellory, particularly with it’s use of a story-within-a-story. It begins with the kidnapping of the Louisanna governor’s daughter. The kidnapper requests a sit down with Ray Hartman, a troubled alcoholic Special Investigator for a federal mob prosecutor. When Ray returns to his New Orleans hometown of hard memories, Mr. Perez walks into the police station. He tells Hartman he will reveal the location of the girl after he tells his life story. And what a tale it is. Perez was born in New Orleans to a violent Cuban father who moves the family back to his homeland right before Castro’s revolution. A chance, brutal occurence brings him into the fold of the Mafia, returning him to the states as one of thier coldest and most efficent enforcers. It’s a sweeping hard boiled saga of violence, friendships, love, and betrayal that sheds light on the Kennedys, Watergate, Jimmy Hoffa and other murky histories. What Ray finds himself stuggling to find out is how the governor, Perez, and he are connected. The answer is only completely revealed at the very end. It’s the balance of mood, character, and plotting that make this a unique book indicitive of Ellory’s work. At its core it looks at two adversaries who are both looking at their last chance to put their darker nature to rest. Ellory’s ability to take us through their dark world and offer hope for individual humanity makes him a stand out author. Meet R. J. Ellory here at BookPeople when MysteryPeople hosts him on Friday, January 27, 7p to speak & sign A Quiet Vendetta. We’ll have drinks, snacks, and a performance by Ellory himself. Welcome to MysteryPeople’s New Home on the Web! As a store, MysteryPeople has strived to be a hub for crime fiction fans, scholars, authors, and fellow booksellers. With this new site, we’re excited to continue to reach out further to offer the same interviews, book reviews, news about events, and notices of great books and authors (both past and present) that you’ve come to expect from MysteryPeople. In addition to keeping you in-the-know, this site is meant to be a place for conversation and community. You can be sure we’ll share a few opinions that will hopefully provoke thought, even if you disagree. Anything pertaining to the realm of crime fiction is fair game here, so don’t be shy. Leave comments. Start discussions. Let’s talk. So toss on your trench coat, grab your fedora or deerstalker, pick your favorite weapon, and most of all bring your wits with you to go down these mean streets with us.